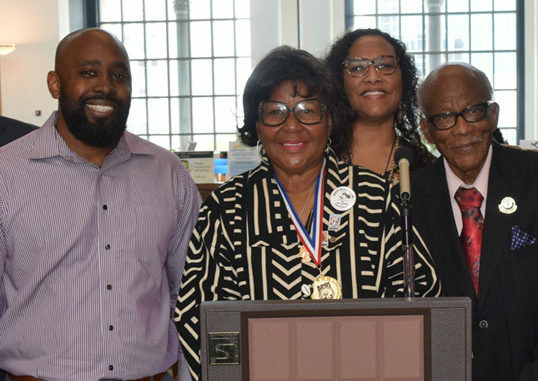 A surprise dedication event for celebrated author Marsha Dean Phelts was held over the weekend at the Jacksonville Public library. 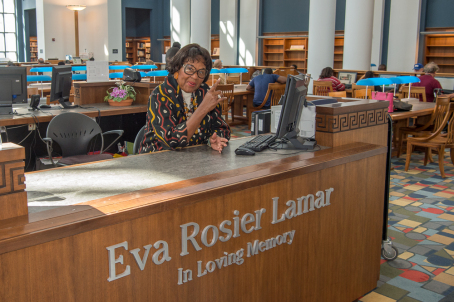 Known as one of her favorite places, both the Eva Rosier Lamar Information Desk and the Marsha Dean Phelts Grand Reading Room were named in her honor following a generous donation. Hundreds of family, friends and fans attended the dedication and was held immediately after the A. Philip Randolph Institute Labor Forum, where Marsha served as a panelist. “The library is my life,” she said. “Giving back to a library that has given me the quality of my life is easy. 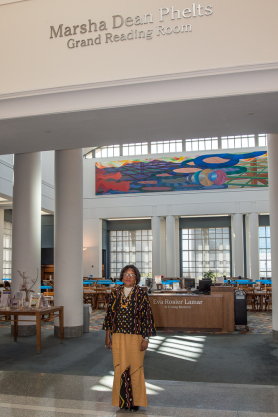 It’s putting your money where your mouth is.” Phelts wanted not only to honor her mother who inspired her love of reading, but also return a heartfelt thanks to the library. Phelts believes libraries make “the wealth of the universe” available to anyone who wants it. A native of Jacksonville, Mrs. Phelts is the author of An American Beach for African Americans and The American Beach Cookbook.